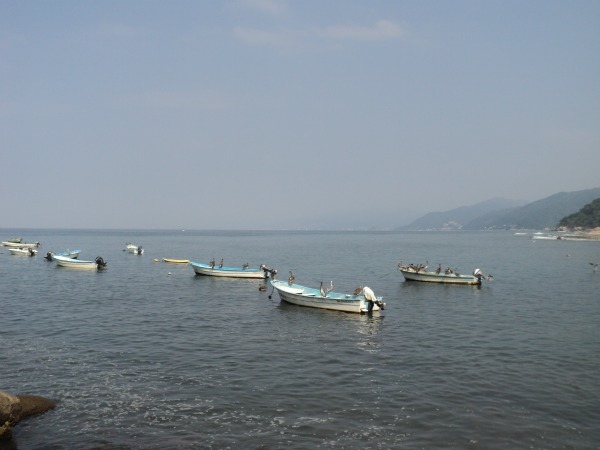 People consider fishing in Puerto Vallarta to be the best in the world. With a whopping 320 days of sunshine per year and an average temperature of 30 Celsius or 85 Fahrenheit on the water, one couldn't ask for better outdoor conditions. This truly is a fisherman's paradise. As a reminder, don't forget to purchase a Mexican Fishing License. You can get weekly, monthly or yearly licenses. You can buy them online or at local fishing stores throughout Puerto Vallarta. You will find many different types of fish in this part of the Pacific Ocean. Rooster Fish, Sailfish and Tuna are likely catches at El Faro. La Corbetena is the place for the best big game fishing. Here you may catch a huge Yellow Fin Tuna or a Black Marlin as large as 1000 pounds. There is also Striped Marlin, Wahoo, Sharks and Dorado at La Corbetena. A legendary destination in the sports fishing world is El Banco. This is where experienced anglers go to find fighting species of fish such as Dorado, Sailfish, Wahoo, large Snappers, Amber Jacks, Groupers, Jack Crevalls and much more. If you are looking for smaller game fish, Islas Marietas is the place to go. It is also a favorite for snorkeling and scuba diving. Another great location for Puerto Vallarta fishing is El Morro. At El Morro you will find mid sized Tuna, Snapper, Mahi Mahi, Grouper, Jack Crevalls, Bonito and Ojo de Peras. Every year is filled with exciting fishing tournaments and special fundraisers in sunny Puerto Vallarta including the annual Hook The Cure benefit. The proceeds from this catch and release fishing tournament go to the Cystic Fibrosis Foundation. And, it is so much more than just a fishing tournament. They also have special celebrity guests, awards, auctions and prizes. Mark your calendars for early to mid November's for Hook The Cure. There is also the annual San Blas Fishing Tournament at the end of each May and continues thru the first week of June. Fishing in Puerto Vallarta will be the experience of a lifetime, provided you follow all rules and regulations. Make sure your boat charter is a reputable company. I have heard a few stories about Captains not staying inside the legal boundaries. So, as the old saying goes, it is always better to be safe then sorry. Ask your Charter Boat Captain if you are legally allowed to fish in the area he navigates. Finally, if you are looking for a very serious challenge, you may want to look into deep sea kayak fishing.